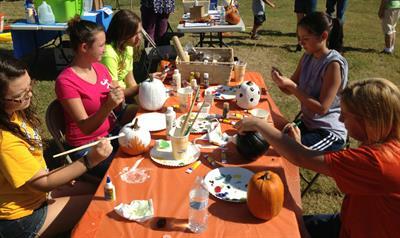 Clarksville’s Autumn Festival For The Whole Family! Come and celebrate the fall season the first Saturday in October at the Annual Harvest Days Festival! We will make every effort to give you the space requested; however, we reserve the right to adjust spaces to the best advantage of the vendors and flow of festival. ***Clarksville Chamber Members and Harvest Days Festival Sponsors will be given foremost consideration. After that, a procrastination charge of $10.00 per space will be added. Applications received by the September 20th, 2019 deadline will be notified of their space number by email, around September 27th, 2019. Vendors are responsible for picking up and removing their own trash & other surplus they have created during the day.